Home haunts are a new craze. 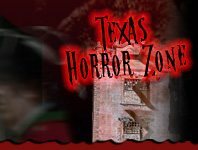 texashauntedhouses.com has a list of the spectacular neighborhood spook locations. Dallas, San Antonio and Austin have a number of Halloween events, but the fun doesn't stop there! You can find Home Haunts all across Texas. Every year communities come together to build frightening and thrilling haunts. Step inside your neighbors house for a treat. You'll find creepy music, thrilling decorations, and something wicked lurking in every room. We promise it'll be a great time. Celebrate Halloween with your neighbors! Marvel at the elaborate decor that was once an ordinary house just a month or two ago, as it is now a spooky wonderland.